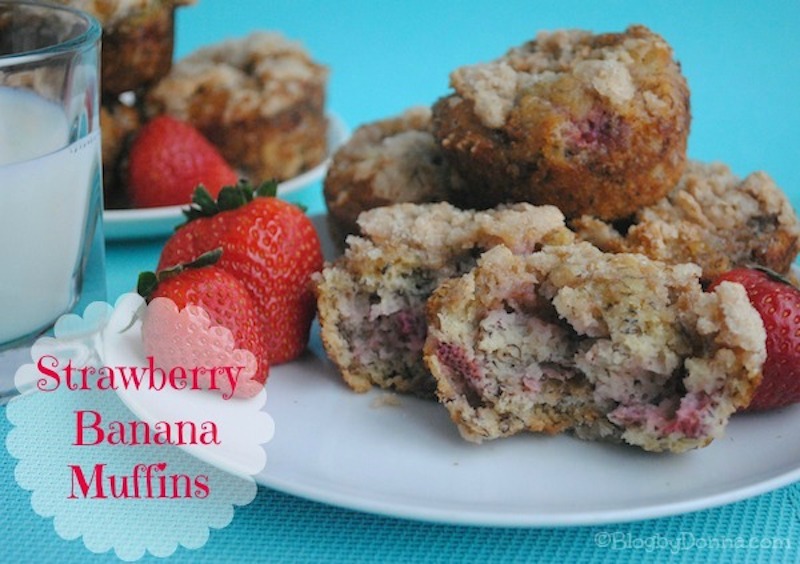 One of my favorite go-to breakfast treats (and snacks) is strawberry banana muffins. They’re just something comforting and satisfying about a good muffin. Muffins are one of my son’s favorites, too. We like a hot muffin with just a little pat of butter on them for breakfast. Sometimes my son eats a muffin for a snack while he does his homework in the afternoons. 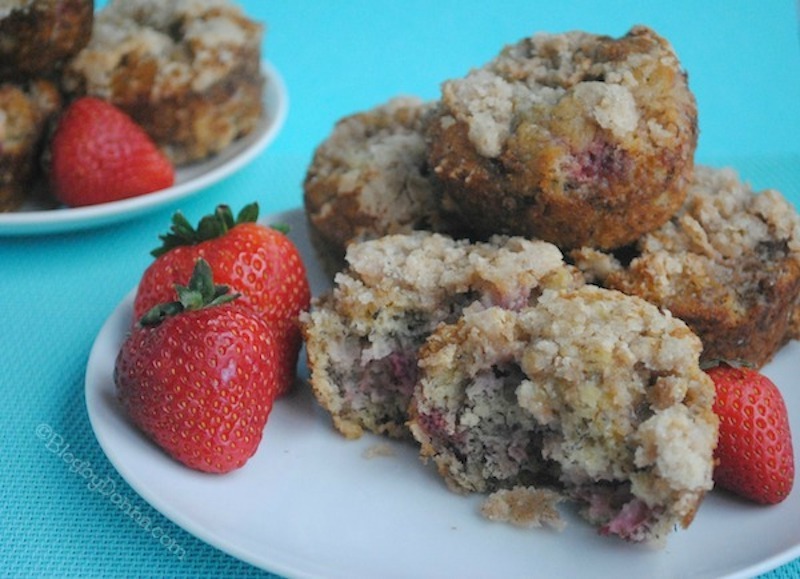 Although I love blueberry muffins a lot, this strawberry banana crumb muffin recipe is so good. 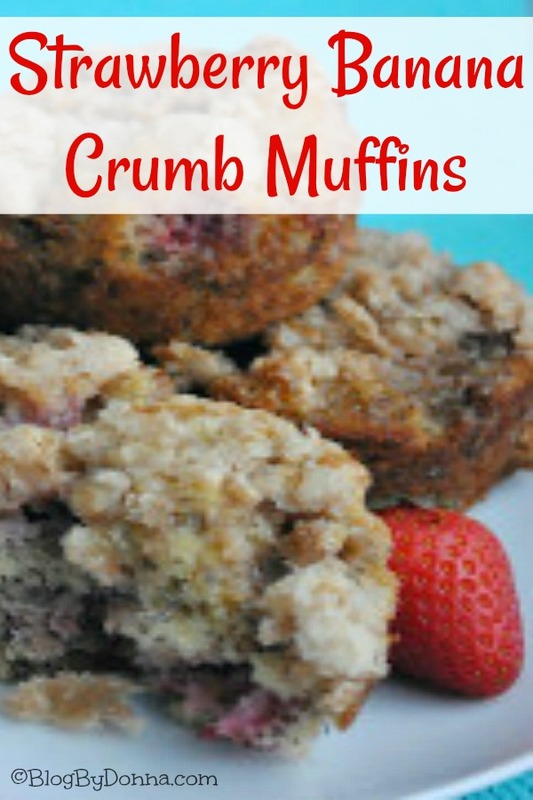 You can top it with the crumbs or leave the crumbs off for a strawberry banana muffin if you want. Preheat the oven to 350 degrees. Spray muffin tin with non-stick spray. 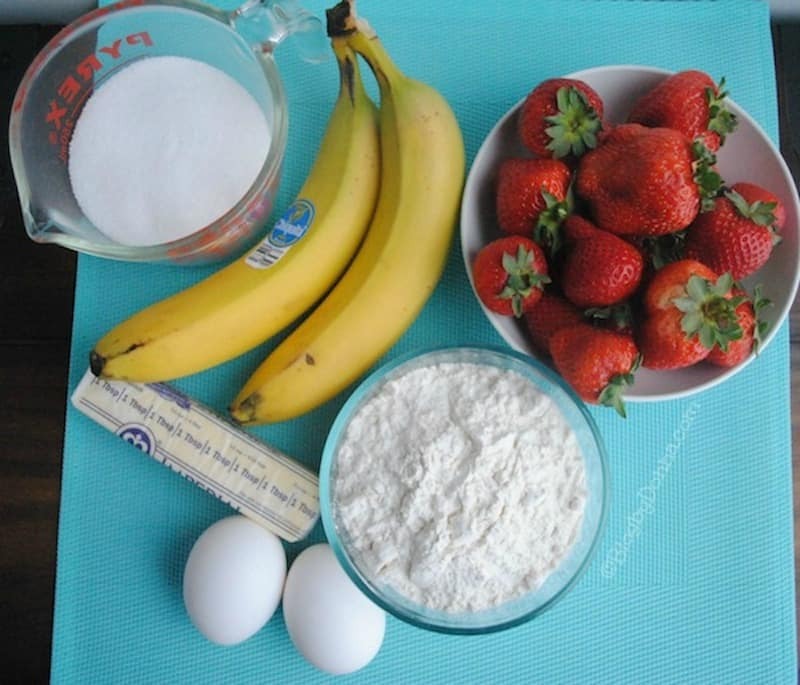 In a large bowl combine the mashed bananas, eggs, sugar, and butter. In a separate bowl, combine the dry ingredients until well-blended. Slowly add the dry ingredients to the banana mixture. Stir in the berries. Mix together the flour, sugar, butter, and cinnamon. Add approximately 1 Tbs. of crumble mix to the top of each muffin. Bake for 20-25 minutes. Crumble top will turn golden brown in the oven. 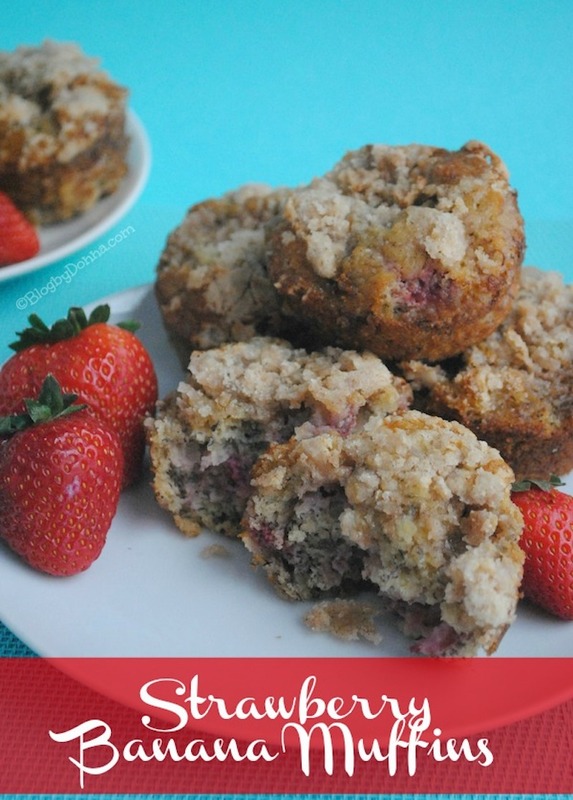 I hope you try this delicious strawberry muffin recipe. I like to double the recipe and freeze half of them, too. I love freeze ahead foods like this chicken salsa taquitos. And if you’re looking for another way to incorporate bananas into your breakfast, try these Gluten-Free Banana Pancakes. Adding fruit to breakfast recipes is a good way of making a more nutritious breakfast that kids love.